These batteries are suitable for High Drain Gadgets such as Digital cameras.These can be Rechargeable upto 1000 times.These batteries are made of Nickle-Metal Hydride i.e. NiMH which is Eco-friendly.The Operation life of these batteries is over 2,00,000 clicks under Standard Test Conditions.These Batteries are Pre-charged so you can directly use them without charging. 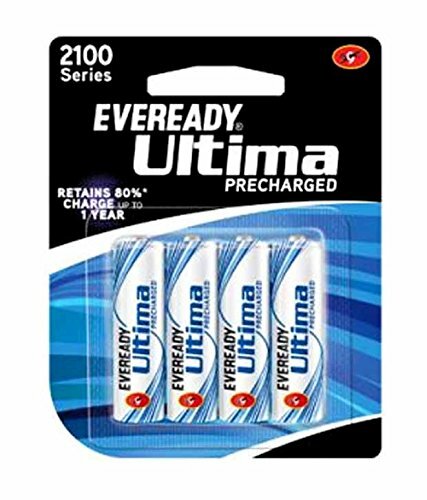 To Recieve updates and possible rewards for Eveready AA NiMh Ultima 2100 Go please sign in. To Recieve updates and possible rewards for Rechargeable Battery please sign in.